Yunnan province is located in the Southwestern corner of China. It shares borders with Tibet, Vietnam, Laos and Myanmar. The province is crossed by the Tropic of Cancer. 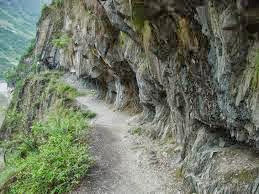 Its elevation ranges from the Honghe River valley at 76 meters to Kawagebo Peak which has an elevation of 6,700 meters. Tea gardens are at elevations between 1,200 to 2,000 meters. The average temperature in this region is between 12 and 23 degrees Celsius. Annual rainfall in the area is between 1,000 and 2,000 mm. 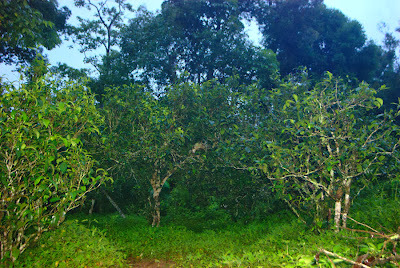 Such conditions are ideal for tea trees for which the province is famous. There are 200 species of such trees found in Yunnan province. They are known as Yunnan large leaf tea. 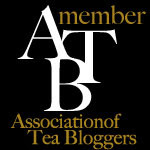 They are Pu-erh tea and black tea producers. The Yunnan Province China's oldest tea growing culture. The possible dates may go back at least as far as the Three Kingdoms Period in the 3rd century. Tea in this province is grown at altitudes as low as around 400 meters in Xigui and as high as 3200 meters in Lincang. 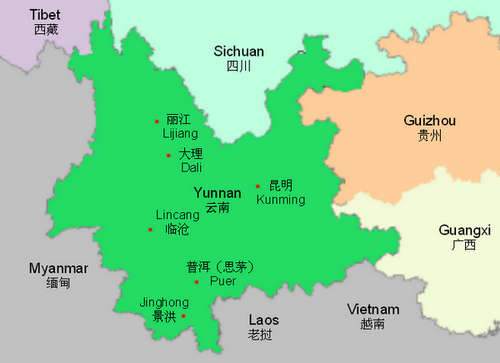 Xishuangbanna is in the south of Yunnan, this is the lower growing areas for Puer production and are mostly above 1000 meters. This natural beverage has been grown in Yunnan for at least 2,100 years when the first wild tea trees were domesticated. These three trees are known as the Three Ancient Tea Tree Kings. The two largest producing areas are Fengqing and Menghai counties. Green, black and pressed tea is planted. Yunnan black tea is one of China's most important exports. The famous aged Pu-erh tea is produced in Pu-erh county. Xiaguan Tuo tea is mainly produced in Dali. Xiaguan Tuo is pressed into ball shape and has a pleasant flavor and color. Other brands produced in Yunnan include jade green, Xuanchun, Hongbao, Yinzhen as well as scented varieties such as smoked products, white orchid and the popular jasmine tea. 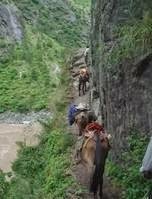 Yunnan's trade routes includes the the ancient tea horse road being the most famous. The fact is there were many trade caravans that ran throughout the province and beyond. Ther ran in Guizhou and Guangxi to the east, south into Burma, Laos and Thailand, north into Sichuan, west into Tibet and from there on into Sikkim. Tea, salt, opium, wax, iron-ware, felt and silk were Chinese exports. Muleteers returned with stick lac, woods for dyeing, tobacco and most raw cotton. Hui people, thought to be decendents of traders from the Middle East and Central Europe, often dominated these trade routes. From as early as the 8th Century, they ran mule caravans throughout the province and beyond. Porters also carried tea on the route into Tibet as late as the mid 20th Century.